Objective: The present research aimed at investigating the personality differences between institutionalized orphans (IO), non institutionalized orphans (NIO) and non orphan (NO) in adolescence. Place and duration of study: The study was conducted in 5 orphanages and 12 schools of Lahore in duration of six months. Subjects and Methods: The sample consisted of 240 adolescents aged between 13 to 19 years; divided into three groups, namely: Non orphans (n=80); Institutionalized orphans (n=80) and Non institutionalized orphans (n=80). Non probability purposive sampling technique was used. Non orphans and non institutionalized orphans were drawn from twelve different schools and institutionalized orphans were drawn from five orphanages of Lahore, Pakistan. Tools used for assessment were Demographic Questionnaire and Child Personality Assessment Questionnaire (PAQ). Data was analyzed using One way Analysis of Variance (ANOVA), Least Significant Difference (LSD) Post Hoc and Descriptive Statistics using Statistical Package for Social Sciences (SPSS). Results: Findings revealed that there is a significant difference in Hostility and World View of institutionalized orphans, non institutionalized orphans and non orphan adolescents. Whereas, there is no significant difference in Dependency, Self Esteem, Self Adequacy, Emotional Responsiveness and Emotional Stability among the three groups. Conclusion: The findings of this research will promote understanding of the personality development and problems of adolescents living in orphanages and those living with single or both parents. Keywords: Personality traits, self esteem, orphans, adolescents. According to Merriam Webster Dictionary 1 orphan is a child deprived by death of one or usually both parents. A report of United Nations Children's Fund 2 suggested that due to large population of Asia, there is a large number of orphans. According to statistics by UNICEF, there are currently 148 million orphans. It is estimated that by 2015, the number of orphaned children will still be tremendously high. Orphan hood often results in loss of family income, poorer health and emotional problems. It may also disturb family network and adds further responsibilities for family members and caretakers 3. The type of care received after becoming an orphan has significant impact on the development of the orphan. Institutionalized orphanages are the most common care system throughout the world for the orphans. Ahmad, Qahar, Siddiq, Majeed, Rasheed, Jabar, and Knorring 4 concluded that children living in orphanages had more mental health problems as compared with children in foster care. 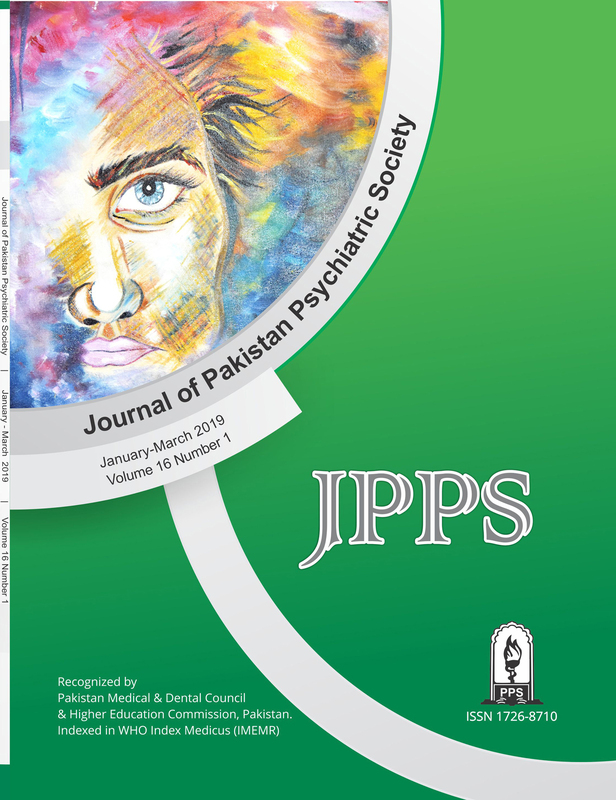 A research was conducted in an orphanage of Kashmir, Pakistan to investigate the psychiatric disorders in children living in orphanages in which high prevalence of Post Traumatic Stress Disorder (PTSD), Mood Disorder and Conversion Disorder was reported in children living in orphanages 5. Research suggests that prevalence of behavioral problems among children in orphanage of Karachi was 50%. While prevalence among SOS village children was 51.6% and 49% among conventional orphanage 6. Most of studies revealed that orphans suffer higher level of psychosocial problems than their non-orphan peers. In particular, maternal and double orphans are more likely to experience behavioural and emotional difficulties, suffer abuses and low rate of trusting relationships 7. Zhao, Li, Barnett, Lin, Fang & Zhao, 8 conducted a study on orphan children psychological wellbeing in China. Their finding revealed that orphan and vulnerable children showed lower psychological wellbeing than comparison groups. Tsegaye 7 found that orphan had low psychological wellbeing whereas the non-orphan had high psychological wellbeing. In this study orphans were found to have a significantly lower psychological wellbeing as compared to the non-orphan children. Results revealed that grade level was significantly and positively correlated with psychological wellbeing whereas parental status was significantly and negatively correlated with psychological wellbeing. Gender and age were not significantly related with psychological wellbeing. Personality can be defined as “a dynamic and organized set of characteristics possessed by a person that influences his or her cognitions, motivations, and behaviors in various situations” 9. Parental acceptance-rejection theory explains major consequences of parental acceptance and rejection for behavioral, cognitive and emotional development for children and personality functioning of adults. According to this theory all human beings have a generalized need for positive response including: Love; approval; warmth and affection. Children who are rejected by their parents tend to be anxious; hostile; aggressive; emotionally unstable and have low self esteem 10. Father-absent girls showed more dependence on female adults and reported more feeling of insecurity than father-present girls 11. Orphanage reared child are more hostile, alienated and had strong external locus of control. Moreover, children having poor home environment were more alienated as compared with those living in congenial home environment 12. Children deprived of parental love; care and security generally face economic, psychological and social problems 13. Parental involvement is significantly related to children’s psychological adjustment 14. Single parent’s home are more likely to bring up children with higher levels of emotional, psychological and behavioral problems 15. A study by Imam and Shaikh (2005) indicated that parental acceptance is related with children’s psychological adjustment16. Moreover, Izzat 17 found significant differences between adolescents living with both parent and single parent groups on the variable of depression, anxiety and behavioral problems. Non orphan children reported higher level of self esteem than the orphan children 18. In Pakistan, Farooqi and Intezar (2009) found that the children in orphanages reported lower degree of self esteem than children living with their parents19. Through purposive sampling data was collected from 240 adolescents aged between 13 to 19 years, 80 non orphans (M= 14.18, SD= .99), 80 institutionalized orphans (M= 14.69, SD= 1.59) and 80 non institutionalized orphans (M= 14.41, SD = 1.14). The data was collected from 80 institutionalized orphans from five orphanages of Lahore, non orphans (n=80) and non institutionalized orphans (n=80) were drawn from twelve different schools of Lahore. There was equal number of male and female adolescents and most of the participants were students of eighth class. PAQ was originally developed by Rohner (1975)10. It consists of 42 items to assess children’s perceptions of themselves with respect to seven personality dispositions: Hostility & Aggression, Dependence; Self Esteem; Self Adequacy; Emotional Responsiveness; Emotional Stability and World View. Each sub scale consists of six items. Participants were required to respond to the PAQ questions on a 4-point likert scale. Responses ranged from almost always true to almost never true. The higher the score on the PAQ, the higher the level of psychological maladjustment. PAQ was translated in Urdu through back translation by Haque (1981) and was revised in 2000 (Veneziano & Rohner, 1998)14 . In the present study Urdu version of PAQ was used. A structured, self constructed demographic questionnaire was administered to collect information from the participants in terms of age; gender; number of siblings; birth order; grade; reason of parent’s death and their age at the time of parent’s death. Permission was taken from the institutions for data collection.The informed consent was taken from participants while explaining the objectives of the study and assuring the confidentiality of the information sought from them. The tools were administered in group setting. It took a participant about 25-30 minutes to complete the questionnaires. Data was analyzed using one-way analysis of variance (ANOVA), t-test and descriptive statistics with Statistical Package for Social Sciences (SPSS). Results obtained from data analyses are shown in the following tables. Adolescents in the NO and NIO group are mostly first born whereas those from the IO group are mostly second born. The participants of non orphan group mostly had three siblings, participants of NIO group mostly had four siblings and IO group mostly had five siblings. Non institutionalized orphan group lost their father within 9-12 years of age and institutionalized orphan group at an early age. Participants of IO group lost their mothers within 5-8 years of age. 63.8% of the participants of the NO group belonged to nuclear family system. One way Analysis of variance showed differences in hostility among the three tested groups, F= 3.67 (df= 2, 237), p= 0.02. Post hoc test confirmed that all three groups differed from one an other on hostility. Institutionalized orphans are more aggressive than both non orphans and non institutionalized orphans. Non orphans are more hostile than non institutionalized orphans (see table 1). Three groups did not show significant differences on ANOVA in dependency, self esteem, self adequacy, emotional unresponsiveness, and emotional instability (see table 2). One way Analysis of variance showed differences in negative world view among the three tested groups, F= 3.11 (df= 2, 237), p= 0.04. Post hoc test showed that Institutionalized orphans have more negative world view as compared to non institutionalized orphans (table 3). An independent sample t test analysis revealed that there is a significant gender difference in dependency of IO showing that females have higher dependency as compared to males. A significant gender difference in emotional unresponsiveness was found among NO group showing that females are more emotionally unresponsive than males. There is a significant gender difference in emotional instability of IO group showing that females are more emotionally instable as compared to males. Gender difference in negative world view of IO group showed that males have more negative world view than females.